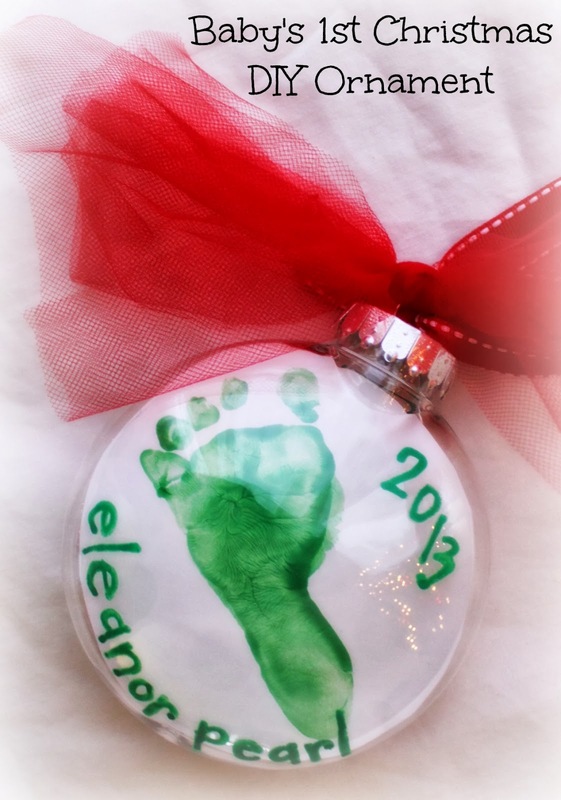 Teeny tiny baby footprints are one of my favorite ways to preserve a snapshot of a child’s growth. 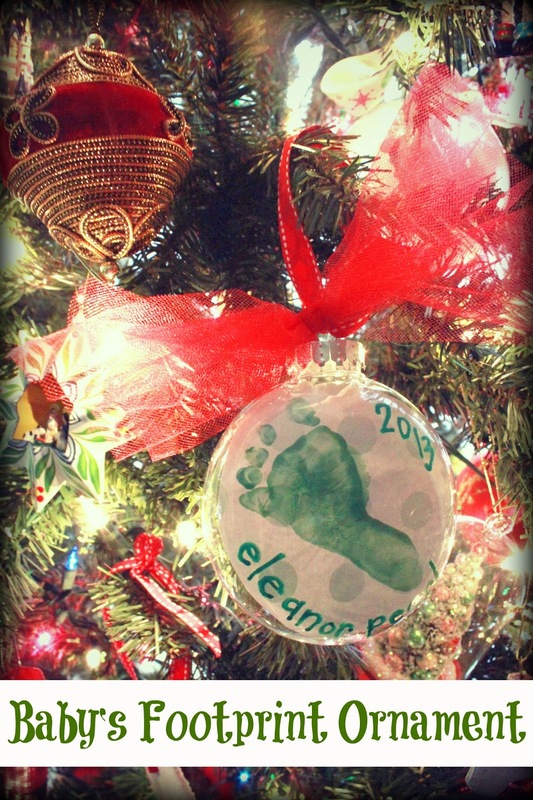 I made a sweet and simple ornament for our Pearl girl’s first Christmas using one of her newborn footprints. It was so easy to make and really inexpensive. 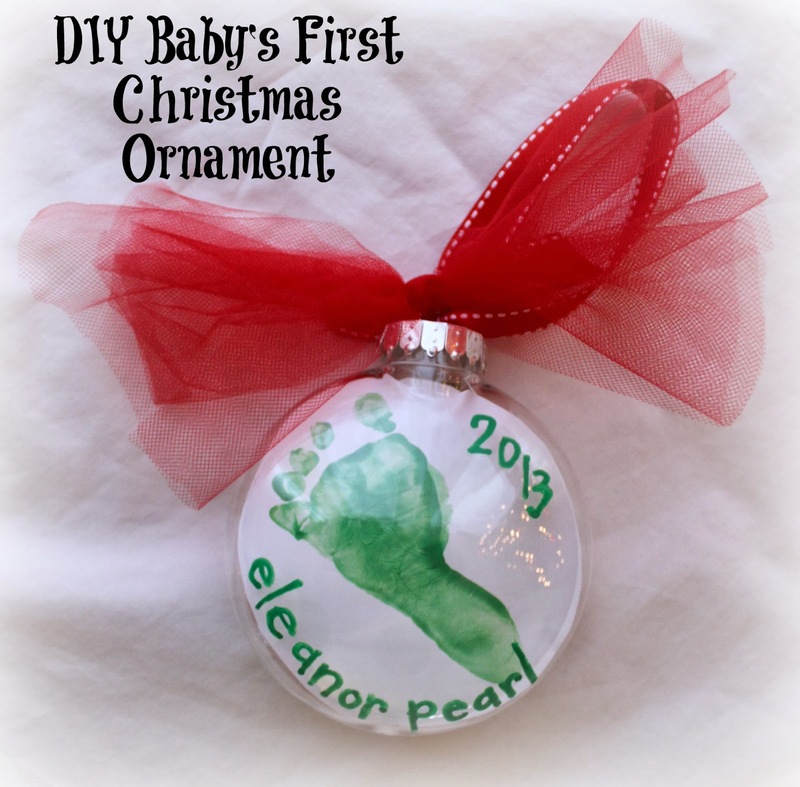 Make your own Christmas footprint ornament to celebrate your baby’s first Christmas with the instructions below. I used washable non-toxic paint to make a bunch of footprints in different colors and on different papers when Ellie was new and super sleepy. 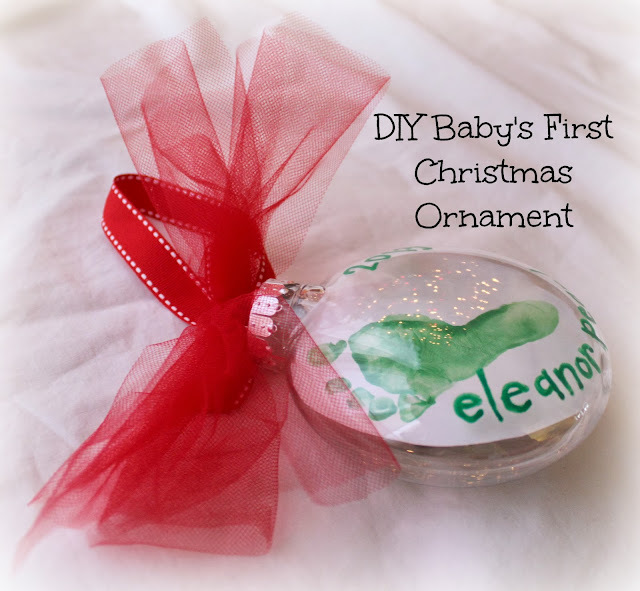 I purchased a round clear acrylic shatterproof ornament for $.88 at a craft store. I traced just around the footprint just smaller than the ornament and cut out that circle. I rolled it up to place it in the ornament and then flattened it it out with a pencil. Done. I had my friend Betsy write Eleanor’s name and the year on the front, and then her birthday on the back with a paint pen, because her handwriting is super cute. I tied three scraps of tulle to the cap after reattaching it, then used grosgrain ribbon to hand the ornament. It was the easiest thing ever and cost under $2 to make. Love it. Do you like to DIY or purchase Christmas tree ornaments? Cute idea! I pinned this, facebooked and tweeted. 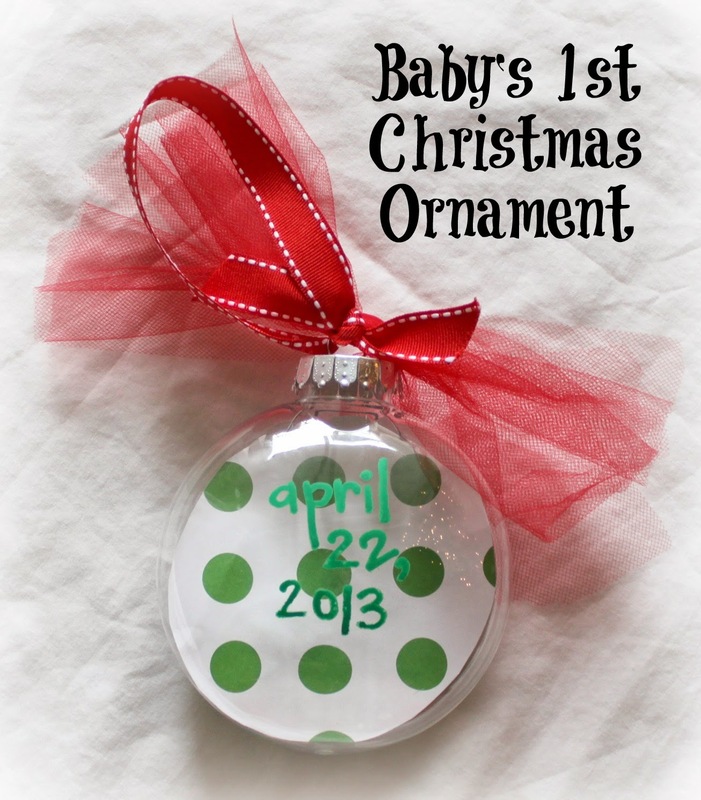 Would make good easy gifts for those with a new baby! I purchase ours, but we make them for family members as gifts! Love this! Wish I had done it for my kids when they were little. Where can I find these flat ornaments? I have looked everywhere. Michaels doesn’t have the flat ones, only the ball shape. Celebrate It used to make them but I can’t find them!! Hey Jennifer! I found them at Hobby Lobby last year, and have also seen them at Joann’s.